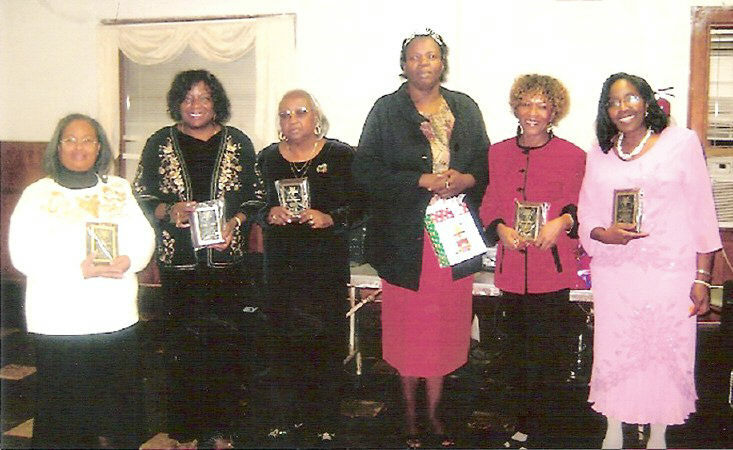 R-L: Awards to Ruth #3 OES Officers – Sister Barbara Moore, Financial Secretary; Sis. Pauline Hills, Worthy Matron; Sis. Terrisena McClain, Secretary and 2008 Queen of “The Tea of Stars”; Sis. Gloria Johnson, Assoc. Matron; Phyllis Garrison, Treasurer & Past Worthy Matron; and Emily Pollard, Past Worthy Matron. International Free and Accepted Modern Masons and Order of the Eastern Star, Ruth Chapter #3 O.E.S., held its annual Christmas Gala December 5, 2008. The Chapter’s annual Xmas celebration was held at the Masonic Hall, located at 912 Drayton St. in the Social Hall. The Occasion was magnificent and during the event, awards and recognition were given to the 2008 Officers and to the 2008 Local Queen Winner of the Tea of Stars of International Mason & O.E.S. 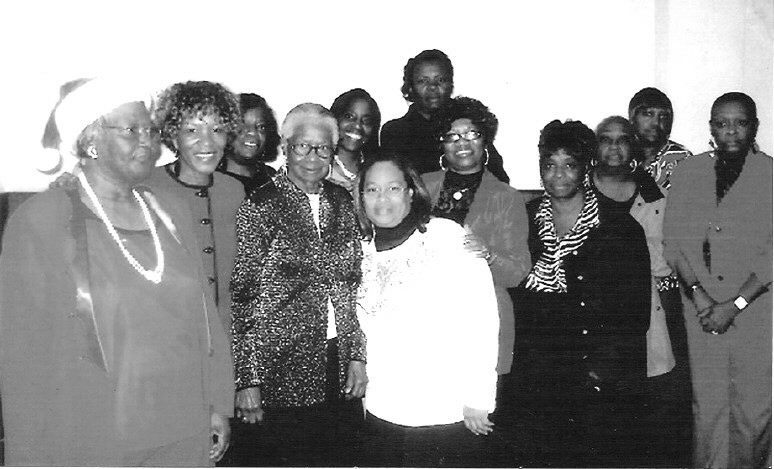 Members of Ruth Chapter #3 O.E.S. duty such as Sis. Barbara Moore, Financial Secretary. The Chapter Members also, gave Worthy Matron, Pauline Hills, an Award for her leadership in serving as The Worthy Matron for Ruth Chapter #3. And Sis. Emily Pollard for her services and loyalty as the Past Worthy Matron.